From the team behind the bestselling GIRLS' NIGHT IN series comes the ultimate handbag guide to what women REALLY want in four of the most fabulous cities in the world. 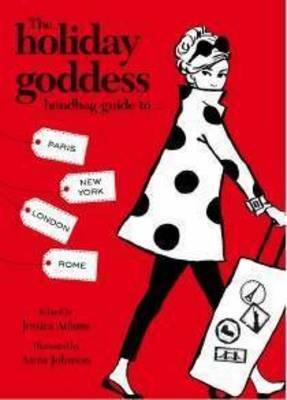 Like a trusted and impossibly cool girlfriend, the Holiday Goddess Handbag Guide reveals the secrets of what women really want in four fabulous cities: Paris, London, New York and Rome. Born in a handbag from scribbled tips shared between goddesses whose adventures scattered them all over the world, it will take you where few women have been before. Follow Audrey Hepburn's footsteps in Rome, delve into the secret diaries of shopaholics in New York, learn chiconomical secrets in Paris, rock out in London, discover where to eat, love and eat some more. As irresistibly chic as a designer handbag, it's the must-have accessory for goddesses who love to travel - or just want to dream about it. .